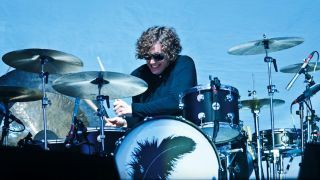 Kasabian's Ian Matthews and session ace Damon Wilson will headline this year's Scottish Drum Fair. The event, hosted by Falkirk's dDrums, will take place on 24 November and features plenty more drum goodness. As well as the A-list headliners, other performers will include Latin guru Stu Brown and pipe band expert Simon Grant. There'll also be drums galore, with manufacturers from all over the world represented at the show. Tickets for the event are on sale now priced £10. For more information click here.